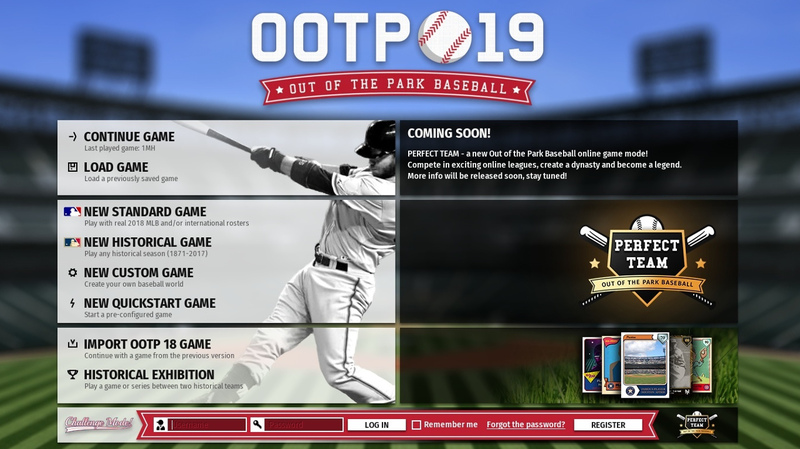 Out of the Park Developments today announced that the upcoming OOTP Baseball 19 will be distributed through Origin on PC, joining both Steam and direct download from its own website as ways to purchase and play the game. Not only will OOTP now be available on Origin but due to the partnership with Electronic Arts the game will be included as part of the Origin Access subscription service which goes for $30 a year or $5 month-to-month. This team-up appears to be beneficial to both parties. OOTP Baseball can use the exposure, and being included for what many perceive as free through a subscription service they may already be a member of will provide it a big boost in that area. EA Access on Xbox One tends to get all the publicity and has a deeper lineup of games and in particular sports games given that only FIFA releases for PC. Adding OOTP will give Origin Access something exclusive of its own and a taste of MLB that fans may have been missing for over a decade. Out of the Park Baseball 19 releases on March 19 for those who pre-order at $36 and March 22 otherwise for $40. The game this year features improved 3D presentation, new tournament modes, a new scouting system and updated rosters along with an addition of a mode coming in summer known as Perfect Team.